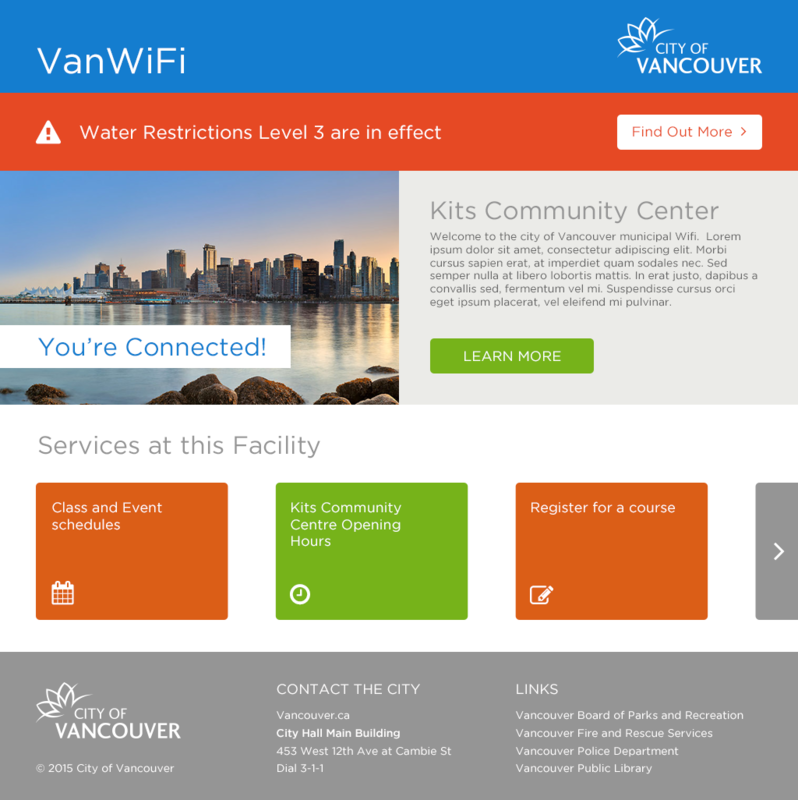 The City of Vancouver recently installed Free Wireless Hotspots to a number of locations around the community. This Wifi Portal would allow users to easily get on the internet, but would also provide a launch point to many relevant services available at their location and in their community. Warblr was thrilled to design and build the portal that would bring the gift of Wireless Internet to so many.